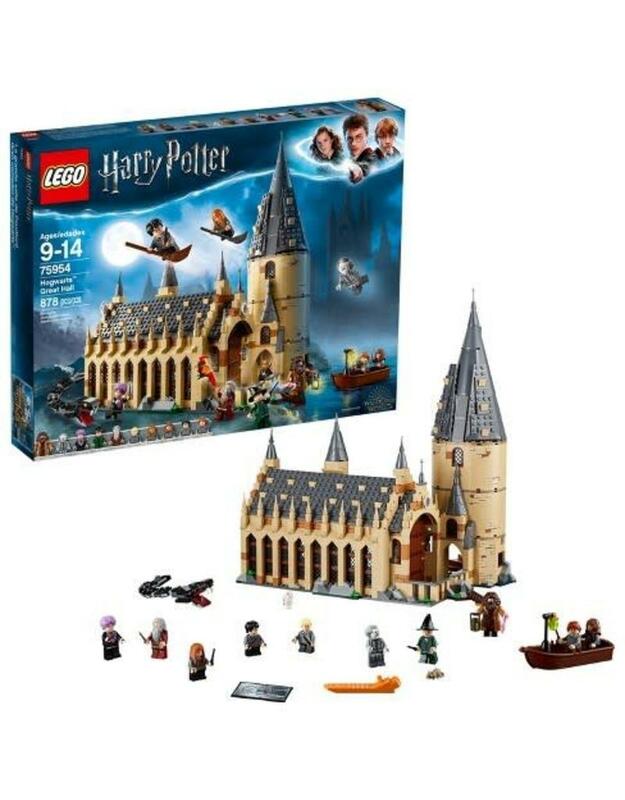 Gift your kiddo their favorite magical fantasy with this Harry Potter Hogwarts Great Hall from LEGO. This super detailed 4 level Hogwarts Great Hall is iconic from the Harry Potter books & movies. Have your kids recreate, piece together & build the hall of their dream with this LEGO Harry Potter set. Featuring 878 pieces, this LEGO set includes benches, tables, reversible house banners, a fireplace & even the Grand Staircase Tower with a detailed spiral staircase! No Hogwarts Hall is complete without its potions room, the treasure room & the all too familiar sorting hat! Deck the place up with Mirror of Erised and various magical artifacts & elements that scream of Hogwarts.